Create a pathway for minority boys and girls and those of poor families in underserved schools to succeed, and avoid despair, poverty and crime. Provide them with the resources for early exposure in science, technology, laboratory experiments, in reading, comprehension and research. Encourage them to excel and aspire, and to uplift themselves to achieve a better future. This makes sound economic sense, and will result in the reduction in crime and violence in the long run. 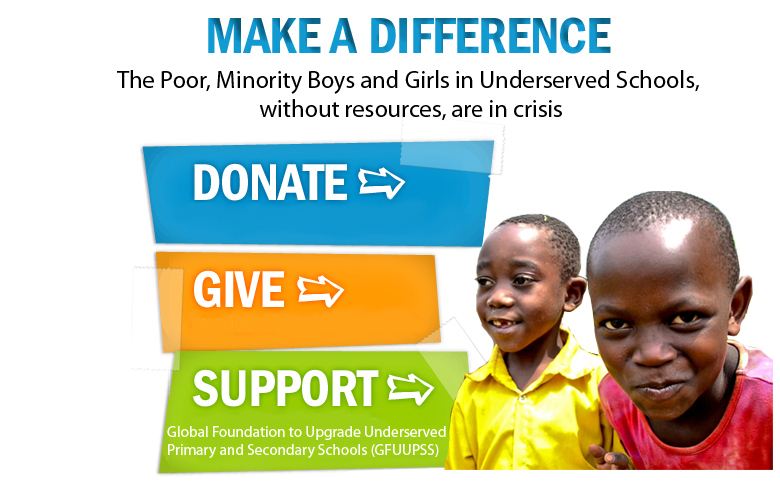 Support Our Partners' Initiatives which, in turn, support GFUUPSS. GFUUPSS is a 501 (C)(3) nonprofit Tax Exempt foundation.